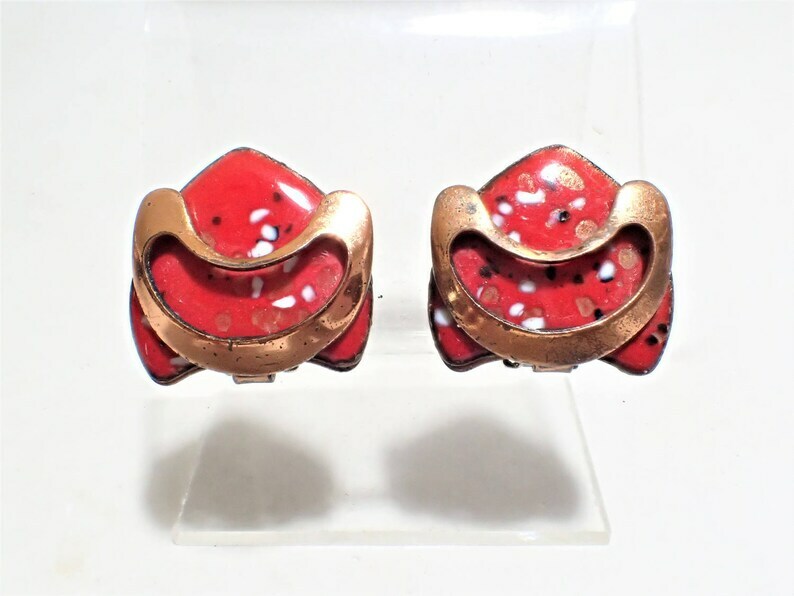 These lovely mid century clip earrings are signed MATISSE. They are copper with red enamel speckled with black, white and copper spots with a crescent moon shape of copper over the shield shaped top. They measure 7/8" tall by 7/8" wide and have no chips or cracks in the enamel but slight wear to the copper, which might be able to be polished out.